Self Cure Remedy details of Take ginseng for the care and relief of COPD, including effectiveness and popularity scores of the remedy. Ginseng is an herbal supplement that improves lung function and also decrease bacteria in the lungs. Panax ginseng in particular has a long history of use in Chinese medicine for respiratory conditions, including asthma and COPD. A recent study has found that panax ginseng and ginsenosides (active components of ginseng) appear to inhibit processes related to the development of COPD. Take ginseng supplements according to its instructions. 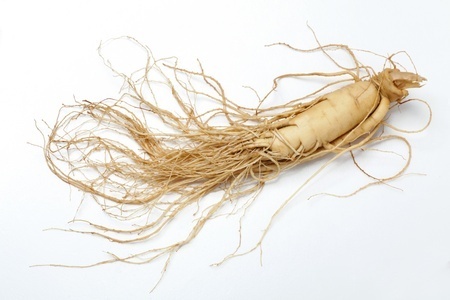 Panax ginseng is likely unsafe to be taken by children or during pregnancy. Don't use Panax ginseng if you have any auto-immune condition, bleeding condition. Panax ginseng might lower blood sugar. Use caution if you have blood sugar related conditions. The self cure remedy of Take ginseng for the care and relief of COPD has an effectiveness score of 3.4 and a popularity score of 2 on the self-cure system.